Games rarely balance humor whilst asking life defining questions. Who am I? Why am I here? Am I defined by my actions or by who I associate with? 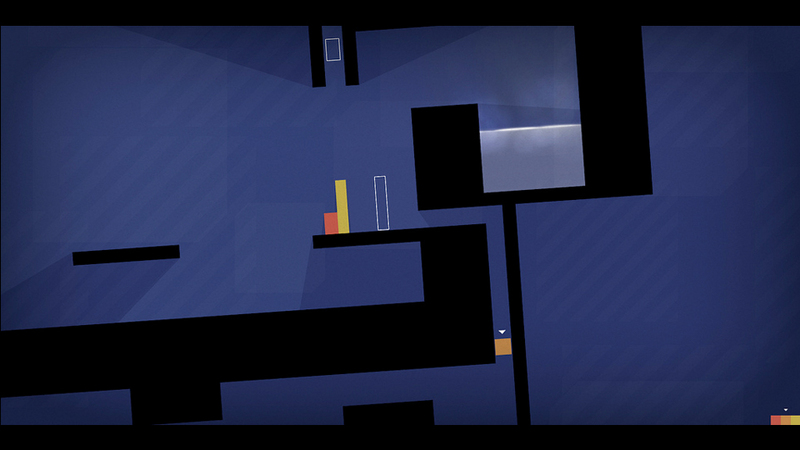 Mike Bithell is willing to rectify this with the wonderful Thomas Was Alone. 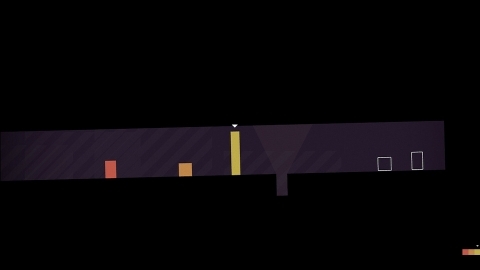 The game revolves around a rectangle called Thomas who blips into existence one day with no comprehension of what he is and why he is here. During his travels he encounters more individuals who are equally confused but seem to have inherent abilities that are useful to Thomas and continuing his journey through the unknown. The relationships the tiny blocks develop are hilarious and also heart warming - so don't hit Wikipedia before playing as you'll ruin half the fun. Story telling is where Thomas Was Alone excels, the cast of characters, while also being simple shapes, have their own distinct personalities conveyed by the award winning narration voiced by Danny Wallace. The humor will have anyone familiar with Douglas Adams (Hitchhikers Guide to the Galaxy) and Danny Wallace (Yes Man/How to Start Your Own Country) grinning from ear to ear, there are some genuinely hilarious moments that had me laughing out loud. The gameplay is a mix of platform and puzzle and you will have to know the cast intimately to succeed, switching between them to utilize their various strengths for the good of the group. 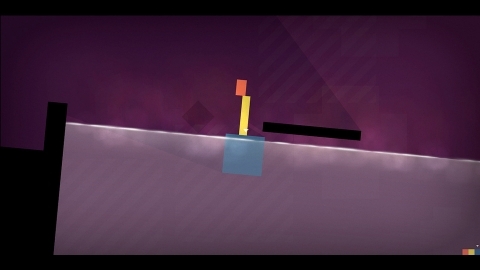 The controls are responsive and the puzzles are certainly challenging. It takes a little while to understand the world and the movement but its all part of the overall experience. Visually Thomas Was Alone sits between fit for purpose and mesmerizing - it's tough to judge them. The graphics are basic but deliberately so, they are stylish and refined yet never distracting or arrogant. It's clear that Mike understands it takes more than graphics to convey a character, it takes a story of self discovery, and understanding ones place in the world. The music is a beautifully laid back affair, and quite refreshing after the bleeps and bloops of my recent ZX Spectrum review. The compositions consist of gentle piano and ambient electronica, which is almost like a lullaby in its softness and warmth. I had breaks between playing the game and would leave the music softly continuing as I sipped my coffee. Beautiful work by David Housen. I would attempt to draw parallels with existing games but I feel I can't, Thomas Was Alone feels more like a story told by actions, an experience you are part of but never the center of. If you are an introvert, brain space lurker like myself you will enjoy this greatly, if you're more into fast paced platforming there may be slim pickings here. 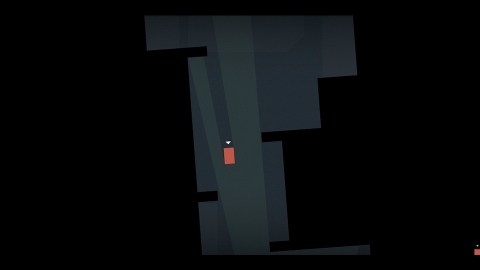 Thomas Was Alone knows what it is and its place in the world, and plays its role perfectly. Purchase the game/download the demo here (direct from the developer's web site).